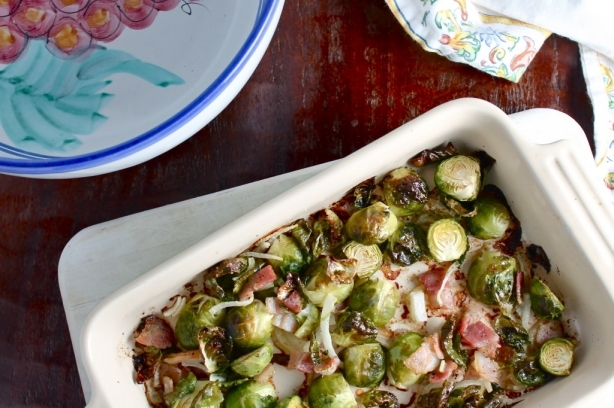 Crispy Brussels sprouts paired with roasted bacon and onion to bring out some amazing flavors! A simple side dish with minimal ingredients. Remove the end of the Brussels sprouts and cut in half. Transfer pieces to a large baking dish and add bacon and onion. Coat with oil, sea salt, black pepper and garlic salt. Roast for 30-35 minutes.